Used in 222 recipes at an average of 3.122%. I created this recipe using my "Moscato Liquido" layer. I wanted to use my Moscato layer in a Fruit Juice but did not want to do the average Grapple or some thin kind of fruit juice. I figured a Tropical vibe would be weird enough with a Grape layer and gave it a try. This turned out very tasty! A strange and delicious mix that I can only describe as a Pink or slight red Tropical fruit Juice with a unique mouth watering grape twist to it. The Pink - The combination of the Shisha strawberry and FLV Pink Guava is where I got the tropical notes from. The Shisha melting the tropical guava and Citrus notes down into a sweet nectar that mixes into the Grape layer. Sweetner - Yes add it. the profile is not the same if you leave it out. I would say the lowest the SS should go is 0.25... LOWEST! Changes: If you like a longer lasting Guava, Add some CAP Sweet Guava to this! My idea here was to make a base layer for a Grape Juice or a Juice that can be used as a Moist Juicy layer for a fruity Fruit Juice! Inspiration is basically from how a grape and apple combo is used in most fruit juices as a background or base layer. Moscato @ 2% its is perfect to me as very visible White grape without adding funky or bitter dry notes that I usually get from white grapes. The texture from the Moscato really pops here too, much like a watery flesh layer inside a grape. Fuji apple & Country apple combo here to create the Fresh apple juice that is then combined with the Grape. 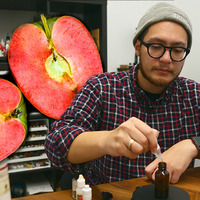 FA pear is only here for some moistness and a touch of texture wrapping up this profile as a Liquid. - Add some coolant if its an Iced Beverage or something that needs a coolant. My first recipe when I started DIY was an apple pie recipe. 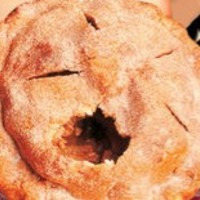 At that time I thought it was a great apple pie and I still think it's really good but I wanted to make an even better apple pie. Instead of trying to modify my original recipe I decided to start from scratch and this is the result. The crust of this pie (FA GC/CAP Cinn Sugar/FLV Pastry Zest) I borrowed from @RinVapes Cinnamon Pear Tart (https://alltheflavors.com/recipes/134961#cinnamon_pear_tart_by_rinvapes). This is an excellent crust that would work with a lot of different pies in my opinion. I did increase the percentages since she does mix low and I think it works perfect here. The apple custard layer (PUR Country Apple/FLV Apple Filling/INW Custard) was inspired by @mlNikon who seems to be a fan of PUR Country Apple and has used the Country Apple/Apple Filling combination in her recipes. 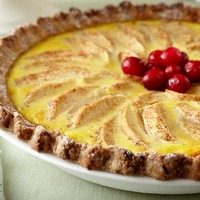 I wanted to make this more than just an apple pie though so I added INW Custard to make an Apple Custard Pie (which is great pie if you've never had it). Overall, I'm very happy with the way that this recipe turned out. It's not quite as custard-y as the picture would suggest but it does have a nice light vanilla eggyness and the slight buttery flavor from the custard lends itself nicely to the crust. Since I used INW Custard in this recipe you can SnV with no issues but the flavors all come together best after a 3-5 day steep which is where I prefer to vape it. Bear Claw, baby! The danish pastry base is comprised of butter tart, croissant and crepe. I added the creme brulee for that caramelized sugar note and a little mouth feel. I original made a version of this recipe for mixers club. Tasted great at first but after a few weeks steep I wasn't pleased with it. Dave Id10T suggested i add some FLV Apple Filling to it so that is what I did. Messed around with the percentages and gave my testers a good steep. Going on 3 months now and my tester tastes as good as it did after 7 days. Quite pleased with how this came together and in time for the fall/winter recipe time. FLV Apple Filling: adds a great cinnamon spice note and improves the overall apple note of the mix. FA Apple Pie: Not really any apple in this but it does add a nice bakery note. 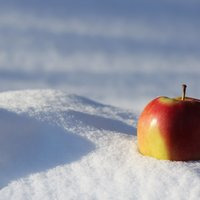 Pur Country Apple: Brings a syrupy apple with no cinnamon or spice to the mix. HS French Vanilla Icecream: Brings a creamy vanilla element to the mix. 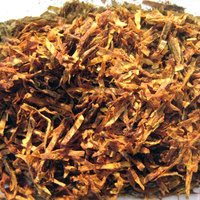 My tobacco combo: Kentucky has some mild spice notes that pair well with the cinnamon in FLV Apple Filling & FLV Turkish. FLV Turkish is mostly spice and it helps keep the Kentucky from fading away in a long steep. This is a simple yet oh so tasty apple tart. 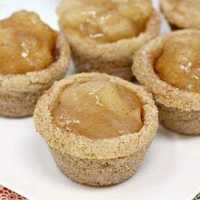 Pur country apple is like a great baked apple or apple sauce flavor. The apple filling helps bring that texture home with some welcoming spice. The caramel cinnamon roll helps to add to the cinnamon note while bringing a nice warm caramel-y bread-y texture that gets the crust started and lets Pie Crust bring it home with that dry, flaky texture. This is simple yet very addictive. If you want, you can add your favorite sweetener but imo, it doesn't really need any.